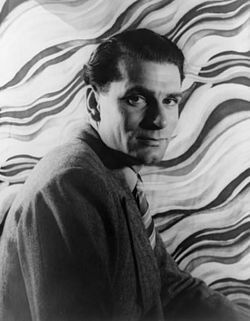 Laurence Kerr Olivier, Baron Olivier, OM (IPA: /ˈlɒɹəns əˈlɪvieɪ/; May 22, 1907 – July 11, 1989) was an Academy Award, Golden Globe, BAFTA and Emmy-winning English actor, director, and producer. He is one of the most famous and revered actors of the twentieth century, along with his contemporaries John Gielgud, Peggy Ashcroft and Ralph Richardson. Olivier played a wide variety of roles on stage and screen from Greek tragedy, Shakespeare and Restoration comedy to modern American and British drama. He was the first artistic director of the National Theatre of Great Britain and its main stage is named in his honor. He is generally regarded to be the greatest actor of the twentieth century, in the same category as David Garrick, Richard Burbage, Edmund Kean and Henry Irving in their own centuries. Olivier's Academy acknowledgments are considerable–14 Oscar nominations, with two wins for Best Actor and Best Picture for the 1948 film Hamlet, and two honorary awards including a statuette and certificate. He was also awarded five Emmy awards from the nine nominations he received. Olivier's career as a stage and film actor spanned more than six decades and included a wide variety of roles, from Shakespeare's Othello and Sir Toby Belch in Twelfth Night to the sadistic Nazi dentist Christian Szell in Marathon Man. A High Church clergyman's son who found fame on the West End stage, Olivier became determined early on to master Shakespeare, and eventually came to be regarded as one of the foremost Shakespeare interpreters of the twentieth century. He continued to act until his death in 1989,  including the role of Douglas MacArthur in the film version of the Battle of Inchon. The film was not a commercial or critical success, as Olivier was weak and fatigued due to illness. Olivier was born in 1907 in Dorking, Surrey, England. He was raised in a severe, strict, and religious household, ruled over by his father, Gerard Kerr Olivier (1869–1939), a High Anglican priest. whose father was Henry Arnold Olivier, a rector. Young Laurence took solace in the care of his mother, Agnes Louise Crookenden (1871–1920), and was grief-stricken when she died (at 48) when he was only 12. Richard and Sybille were his two older siblings. In 1918 his father became the new church minister at St. Mary's Church, Letchworth, Hertfordshire and the family lived at the Old Rectory, now part of St Christopher School. He performed at the St. Christopher School Theatre, in December 1924 in Through the Crack (unknown author) as understudy and assistant stage manager, and in April 1925 he played Lennox in Shakespeare's Macbeth and was assistant stage manager. He was educated at St Edward's School, Oxford, and, at 15, played Katherine in his school's production of The Taming of the Shrew, to rave reviews. After his brother, Richard, left for India, it was his father who decided that Laurence—or "Kim," as the family called him—would become an actor. Olivier attended the Central School of Dramatic Art at the age of 17. In 1926, he joined The Birmingham Repertory Company. At first he was given only paltry tasks at the theater, such as bell-ringer; however, his roles eventually became more significant, and in 1937 he was playing roles such as Hamlet and Macbeth. Throughout his career he insisted that his acting was pure technique, and he was contemptuous of contemporaries who adopted the 'Method' popularized by Lee Strasberg. Olivier met and married Jill Esmond, a rising young actress, on July 25, 1930 and had one son, Tarquin, born in 1936. Olivier was not happy in his first marriage from the beginning, however. Repressed, as he came to see it, by his religious upbringing, Olivier recounted in his autobiography the disappointments of his wedding night, culminating in his failure to perform sexually. He renounced religion forever and soon came to resent his wife, though the marriage would last for ten years. He made his film debut in The Temporary Widow, and played his first leading role on film in The Yellow Ticket; however, he held the film in little regard. His stage breakthroughs were in Noel Coward's Private Lives in 1930, and in Romeo and Juliet in 1935, alternating the roles of Romeo and Mercutio with John Gielgud. Olivier did not agree with Gielgud's style of acting Shakespeare and was irritated by the fact that Gielgud was getting better reviews than he was. His tension towards Gielgud came to a head in 1940, when Olivier approached London impresario Binkie Beaumont about financing him in a repertory of the four great Shakespearean tragedies of Hamlet, Othello, Macbeth and King Lear, but Beaumont would only agree to the plan if Olivier and Gielgud alternated in the roles of Hamlet/Laertes, Othello/Iago, Macbeth/Macduff, and Lear/Gloucester and that Gielgud direct at least one of the productions, a proposition Olivier bluntly declined. The engagement as Romeo resulted in an invitation by Lilian Baylis to be the star at the Old Vic Theatre in 1937/1938. Olivier's tenure had mixed artistic results, with his performances as Hamlet and Iago drawing a negative response from critics and his first attempt at Macbeth receiving mixed reviews. But his appearances as Henry V, Coriolanus, and Sir Toby Belch in Twelfth Night were triumphs, and his popularity with Old Vic audiences left Olivier as one of the major Shakespearean actors in England by the season's end. Olivier continued to hold his scorn for film, and though he constantly worked for Alexander Korda, he still felt most at home on the stage. He made his first Shakespeare film, As You Like It, with Paul Czinner, however, Olivier disliked it, thinking that Shakespeare did not work well on film. Laurence Olivier saw Vivien Leigh in The Mask of Virtue in 1936, and a friendship developed after he congratulated her on her performance. While playing lovers in the film Fire Over England (1937), Olivier and Leigh developed a strong attraction, and after filming was completed, they began an affair. Leigh played Ophelia to Olivier's Hamlet in an Old Vic Theatre production, and Olivier later recalled an incident during which her mood rapidly changed as she was quietly preparing to go onstage. Without apparent provocation, she began screaming at him, before suddenly becoming silent and staring into space. She was able to perform without mishap, and by the following day, she had returned to normal with no recollection of the event. It was the first time Olivier witnessed such behavior from her. Olivier travelled to Hollywood to begin filming Wuthering Heights as Heathcliff. Leigh followed soon after, partly to be with him, but also to pursue her dream of playing Scarlett O'Hara in Gone with the Wind (1939). Olivier found the filming of Wuthering Heights to be difficult but it proved to be a turning point for him, both in his success in the United States, which had eluded him until then, but also in his attitude to film, which he had regarded as an inferior medium to theater. The film's producer, Samuel Goldwyn was highly dissatisfied with Olivier's overstated performance after several weeks of filming and threatened to dismiss him. Olivier had grown to regard the film's female lead, Merle Oberon, as an amateur; however, when he stated his opinion to Goldwyn, he was reminded that Oberon was the star of the film and already a well-known name in American cinema. Olivier was told that he was dispensable and that he was required to be more tolerant of Oberon. Olivier recalled that he took Goldwyn's words to heart, but after some consideration realized that he was correct; he began to moderate his performance to fit the more intimate film medium and began to appreciate the possibilities it offered. He later acknowledged that he was influenced by the director William Wyler, with whom he had frequently clashed during the early days of filming. The film was a hit and Olivier was praised for his performance, and was nominated for an Academy Award for Best Actor. Leigh won the Academy Award for Best Actress for Gone with the Wind, and the couple suddenly found themselves to be major celebrities throughout the world. They wanted to marry, but both Leigh's husband and Olivier's wife at the time, Jill Esmond, at first, refused to divorce them. Finally divorced, they were married on August 31, 1940. Olivier's American film career flourished with highly regarded performances in Rebecca (1940) and Pride and Prejudice (1941). Olivier and Leigh starred in a theater production of Romeo and Juliet in New York City. It was an extravagant production, but a commercial failure. Brooks Atkinson for The New York Times wrote, "Although Miss Leigh and Mr Olivier are handsome young people they hardly act their parts at all." The couple had invested almost their entire savings into the project, and its failure was a financial disaster for them. They filmed That Hamilton Woman (1941) with Olivier as Horatio Nelson and Leigh as Emma Hamilton. With Britain engaged in World War II, the Oliviers returned to England, and in 1944 Leigh was diagnosed as having tuberculosis in her left lung, but after spending several weeks in hospital, she appeared to be cured. In spring she was filming Caesar and Cleopatra (1945) when she discovered she was pregnant, but suffered a miscarriage. She fell into a deep depression which reached its nadir when she turned on Olivier, verbally and physically attacking him until she fell to the floor sobbing. This was the first of many major breakdowns related to manic-depression, or bipolar mood disorder. Olivier came to recognize the symptoms of an impending episode – several days of hyperactivity followed by a period of depression and an explosive breakdown, after which Leigh would have no memory of the event, but would be acutely embarrassed and remorseful. In 1947 Olivier was knighted as a Knight Bachelor and by 1948 he was on the Board of Directors for the Old Vic Theatre, and he and Leigh embarked on a tour of Australia and New Zealand to raise funds for the theater. During their six-month tour, Olivier performed Richard III and also performed with Leigh in The School for Scandal and The Skin of Our Teeth. The tour was an outstanding success, and although Leigh was plagued with insomnia and allowed her understudy to replace her for a week while she was ill, she generally withstood the demands placed upon her, with Olivier noting her ability to "charm the press." Members of the company later recalled several quarrels between the couple, with the most dramatic of these occurring in Christchurch when Leigh refused to go on stage. Olivier slapped her face, and Leigh slapped him in return and swore at him before she made her way to the stage. By the end of the tour, both were exhausted and ill, and Olivier told a journalist, "You may not know it, but you are talking to a couple of walking corpses." Later he would comment that he "lost Vivien" in Australia. Leigh next sought the role of Blanche DuBois in the West End stage production of Tennessee Williams's A Streetcar Named Desire, and was cast after Williams and the play's producer Irene Mayer Selznick saw her in the The School for Scandal and Antigone, with Olivier contracted to direct the project. In January 1953 Leigh travelled to Ceylon to film Elephant Walk with Peter Finch. Shortly after filming commenced, she suffered a breakdown, and Paramount Studios replaced her with Elizabeth Taylor. Olivier returned her to their home in England, where between periods of incoherence, Leigh told him that she was in love with Finch, and had been having an affair with him. She gradually recovered over a period of several months. As a result of this episode, many of the Oliviers' friends learned of her problems. David Niven said she had been "quite, quite mad," and in his diary Noël Coward expressed surprise that "things had been bad and getting worse since 1948 or thereabouts." Leigh recovered sufficiently to play The Sleeping Prince with Olivier in 1953, and in 1955 they performed a season at Stratford-upon-Avon in Shakespeare's Twelfth Night, Macbeth and Titus Andronicus. They played to capacity houses and attracted generally good reviews, Leigh's health seemingly stable. Noël Coward was enjoying success with the play South Sea Bubble, with Leigh in the lead role, but she became pregnant and withdrew from the production. Several weeks later, she miscarried and entered a period of depression that lasted for months. She joined Olivier for a European tour with Titus Andronicus, but the tour was marred by Leigh's frequent outbursts against Olivier and other members of the company. After their return to London, her former husband Leigh Holman, who continued to exert a strong influence over her, stayed with the Oliviers and helped calm her. 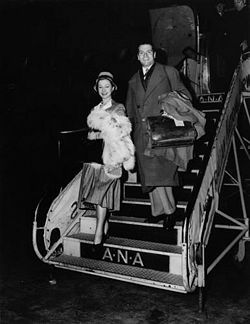 In 1958, considering her marriage to be over, Leigh began a relationship with the actor Jack Merivale, who knew of Leigh's medical condition and assured Olivier he would care for her. She achieved a success in 1959 with the Noël Coward comedy Look After Lulu, with The Times critic describing her as "beautiful, delectably cool and matter of fact, she is mistress of every situation." In December 1960 she and Olivier divorced, and Olivier married the actress Joan Plowright, with whom he later had three children. In his autobiography he discussed the years of problems they had experienced because of Leigh's illness, writing, "Throughout her possession by that uncannily evil monster, manic depression, with its deadly ever-tightening spirals, she retained her own individual canniness – an ability to disguise her true mental condition from almost all except me, for whom she could hardly be expected to take the trouble." When World War II broke out, Olivier intended to join the Royal Air Force, but was still contractually obliged to other parties. He apparently disliked actors such as Charles Laughton and Sir Cedric Hardwicke, who would hold charity cricket matches to help the war effort. Olivier took flying lessons, and racked up over 200 hours. After two years of service, he rose to the rank Lieutenant Olivier RNVR, as a pilot in the Fleet Air Arm but was never called to see action. In 1944 he and fellow actor Ralph Richardson were released from their naval commitments to form a new Old Vic Theatre Company at the New Theatre (later the Albery, now the Noel Coward Theatre) with a nightly repertory of three plays, initially Henrik Ibsen's Peer Gynt, George Bernard Shaw's Arms and the Man and Shakespeare's Richard III (which would become Olivier's signature role), rehearsed over ten weeks to the accompaniment of German V1 ‘doodlebugs’. The enterprise, with John Burrell as manager, eventually extended to five acclaimed seasons ending in 1949, after a prestigious 1948 tour of Australia and New Zealand, which included Vivien Leigh in productions of Richard III, Richard Brinsley Sheridan's School for Scandal, and Thornton Wilder's The Skin of Our Teeth. In 1945 Olivier and Richardson were made honorary Lieutenants with ENSA, and did a six-week tour of Europe for the army, performing Arms and the Man, Peer Gynt and Richard III for the troops, followed by a visit to the Comédie-Française in Paris, the first time a foreign company had been invited to play on its famous stage. When Olivier returned to London the populace noticed a change in him. Olivier's only explanation was: "Maybe it's just that I've got older." A new biography of Olivier written by Michael Munn (titled Lord Larry) claims that in 1940, while still in America Olivier was recruited by Special Operations Executive as an agent to build support in the United States (then a neutral country) for Britain's war with Nazi Germany. According to the book Olivier was recruited by film producer and MI5 operative Alexander Korda on the instructions of Winston Churchill. According to an article in The Telegraph, David Niven, a good friend of Olivier's, is said to have told Michael Munn, "What was dangerous for his country was that (Olivier) could have been accused of being an agent. This sounds ludicrous now in the light of history, but before America was brought into the war it didn't tolerate foreign agents." "So this was a danger for Larry because he could have been arrested. And what was worse, if German agents had realized what Larry was doing, they would, I am sure, have gone after him." Prof. M. R. D. Foot, a leading authority on the Special Operations Executive and a former World War II intelligence officer, described Mr. Munn's claims as "perfectly plausible." After gaining widespread popularity in the film medium, Olivier was approached by several investors (namely Filippo Del Giudice, Alexander Korda and J. Arthur Rank), to create several Shakespearean films, based on stage productions of each respective play. Olivier tried his hand at directing, and as a result, created three highly successful films: Henry V, Hamlet and Richard III. Olivier made his directorial debut with a film of Shakespeare's Henry V. At first, he did not believe he was up to the task, instead trying to offer it to William Wyler, Carol Reed, and Terence Young. The film was shot in Ireland (due to the fact that it was neutral), with the Irish plains having to double for the fields of Agincourt. During the shooting of one of the battle scenes, a horse collided with a camera that Olivier was attending. Olivier had had his eye to the viewfinder, and when the horse crashed into his position, the camera smashed into him, cutting his lip, and leaving a scar that would be prominent in later roles. The film opened to rave reviews, despite Olivier's initial reluctance. It was the first widely successful Shakespeare film, and was considered a work of art by many. The film received Oscar nominations for Best Picture and Best Actor, but the Academy, in Olivier's opinion, did not feel comfortable in giving out all of their major awards to a foreigner, so they gave him a special Honorary Award. Olivier disregarded the award as a "fob-off". Olivier followed up on his success with an adaptation of Hamlet. He had played this role more often than he had Henry, and was more familiar with the melancholy Dane. However, Olivier was not particularly comfortable with the introverted role of Hamlet, as opposed to the extroverts that he was famous for portraying. The running time of Hamlet (1948) was not allowed to exceed 153 minutes, and as a result Olivier cut almost half of Shakespeare's text. He was severely criticized for doing so by purists, most notably Ethel Barrymore; Barrymore stated that the adaptation was not nearly as faithful to the original text as her brother John's stage production from 1922. Ironically, Ethel presented the Best Picture Oscar that year–and was visibly shaken when she read, "Hamlet." The film became another resounding critical and commercial success in Britain and abroad, winning Olivier Best Picture and Best Actor at the 1948 Academy Awards. It was the first British film to win Best Picture, and Olivier's only Best Actor win, a category he would be nominated for five more times before his death. Olivier also became the first person to direct himself in an Oscar-winning performance, a feat not repeated until Roberto Benigni directed himself to Best Actor in 1999 for Life Is Beautiful. Also, Olivier remains the only actor to receive an Oscar for Shakespeare. Olivier, however, did not win the Best Director Oscar that year, preventing what would have almost been a clean sweep of all the major awards for which the film was nominated. Olivier's third major Shakespeare project as director and star was Richard III. Alexander Korda initially approached Olivier to reprise on film the role he had played to acclaim at the Old Vic in the 1940s. This role had been lauded as Olivier's greatest (rivaled only by his 1955 stage production of Macbeth and his performance as the broken down Music Hall performer Archie Rice in The Entertainer), and is arguably considered to be his greatest screen performance. During the filming of the battle scenes in Spain, one of the archers actually shot Olivier in the ankle, causing him to limp. Fortunately, the limp was required for the part, so Olivier had already been limping for the parts of the film already shot. Although the film was critically well received, it was a financial failure. Korda sold the rights to the American television network NBC, and the film became the first to be aired on television and released in theaters simultaneously. Many deduce that from the enormous ratings that the NBC transmissions received, more people saw Richard III in that single showing than all the people who had seen it on stage in the play's history. Macbeth was supposed to have been Olivier's next Shakespeare film. However, due to Richard III's dismal box-office performance, along with the deaths of Alexander Korda and Mike Todd, the film would never be made. His 1955 performance as Macbeth at the Shakespeare Memorial Theatre had been praised as one of the all-time great performances. He had originally planned to film it in 1948 instead of Hamlet, but Orson Welles was making his own film of Macbeth at the time which would reach theaters first, so Olivier chose to film Hamlet instead. Since the end of World War II, apart from his Shakespeare trilogy, Olivier had made only sporadic film appearances. In the second half of the 1950s, British theater was changing with the rise of the "Angry Young Men." John Osborne, author of Look Back in Anger wrote a play for Olivier entitled The Entertainer, centered on a washed-up stage comedian called Archie Rice, which opened at the Royal Court on April 10, 1957. As Olivier later stated, "I am Archie Rice. I am not Hamlet." During rehearsals of The Entertainer, Olivier met Joan Plowright who took over the role of Jean Rice from Dorothy Tutin when Tony Richardson's Royal Court production transferred to the Palace Theatre in September 1957. Later, in 1960, Tony Richardson also directed the screen version with Olivier and Plowright repeating their stage roles. He left Vivien Leigh for Plowright, a decision that apparently gave him a sense of guilt for the rest of his life. Olivier married Plowright on St. Patrick's Day, 1961, finally providing him with domestic stability and happiness. Leigh died in 1967. Olivier was one of the founders of the National Theatre. He became first NT Director at the Old Vic before the South Bank building was constructed with his opening production of Hamlet in October 1963. During his directorship he appeared in 12 plays (taking over roles in three) and directed nine. However, his career at the National ended, in his view, in betrayal and tragedy. For Othello, Olivier underwent a transformation, requiring extensive study and heavy weightlifting, in order to get the physique needed for the Moor of Venice. It is said that he bellowed at a herd of cows for an hour to get the deep voice that was required. John Dexter's 1964 stage production of the play was filmed in 1965, securing Olivier his sixth Oscar Nomination for Best Actor. It was not without criticism as director Jonathan Miller called it "a condescending view of an Afro Caribbean person." Olivier's final film as director was the 1970 film Three Sisters, based on the Chekhov play of the same name, and his 1967 National Theatre production. It was, in Olivier's opinion, his best work as director. The film was co-directed by John Sichel. In addition his most fondly remembered National Theatre performances at the Old Vic were as Astrov in his own production of Chekhov's Uncle Vanya, seen first in 1962 at the Chichester Festival Theatre; his Captain Brazen in William Gaskill's December 1963 staging of George Farquhar's The Recruiting Officer; Shylock in Jonathan Miller's 1970 revival of The Merchant of Venice; and his definitive portrayal of James Tyrone in Eugene O'Neill's Long Day's Journey Into Night, produced in December 1971 by Michael Blakemore. These last two were later restaged for television, and telecast both in England and in the United States. He played an unforgettably droll supporting role as the ancient Antonio in Franco Zeffirelli's 1973 production of Eduardo de Filippo's Saturday, Sunday, Monday, with his wife Joan Plowright in the starring role of Rosa. His final stage appearance, on March 21, 1974, was as the fiery Glaswegian, John Tagg, in John Dexter's production of Trevor Griffiths' The Party. The only appearance he made on the stage of the new Olivier Theatre, was at the royal opening of the new National Theatre building on October 25, 1976. Famous throughout his career for his commitment to his art, Olivier immersed himself even more completely in his work during his later years, reportedly as a way of distracting himself from the guilt he felt at having left his second wife Vivien Leigh. He began appearing more frequently in films, usually in character parts rather than the leading romantic roles of his early career, and received Academy Award nominations for Sleuth (1972), Marathon Man (1976) and The Boys from Brazil (1978). Having been recently forced out of his role as director of the Royal National Theatre, he worried that his family would not be sufficiently provided for in the event of his death, and consequently chose to do many of his later TV special and film appearances on a "pay cheque" basis. He later freely admitted that he was not proud of most of these credits, and noted that he particularly despised the 1982 film Inchon, in which he played the role of General Douglas McArthur. In 1967 Olivier underwent radiation treatment for prostate cancer, and was also hospitalized with pneumonia. For the remainder of his life, he would suffer from many different health problems, including bronchitis, amnesia and pleurisy. In 1974 he was diagnosed with a degenerative muscle disorder, and nearly died the following year, but he battled through the next decade, earning money in case of financial disaster. This explains why Olivier took all the work he could get, so his family would be financially secure after his death. It also explains his appearance in the 1982 film Inchon. One of Olivier's enduring achievements involved neither stage nor screentime. In 1974, UK Thames Television released The World at War, an exhaustive 26-part documentary on the Second World War to which Olivier, with some reluctance, lent his voice. His narration serves as the so-called "voice of God," surveying with deep lament the devastation as it unfolds. When presenting the Best Picture Oscar in 1985, he absent-mindedly presented it by simply stepping up to the microphone and saying "Amadeus." He had grown forgetful, and had forgotten to read out the nominees first. In 1986, Olivier appeared as the pre-filmed holographic narrator of the West End production of the multi-media Dave Clark rock musical Time. He died of cancer in Steyning, West Sussex, England, in 1989 at the age of 82. He was survived by his son from his first marriage, as well as his wife and their three children. Lord Olivier's body was cremated, his ashes interred in Poets' Corner in Westminster Abbey, London. Only two actors have been accorded this honor, with David Garrick being the other in 1779. Fifteen years after his death, Olivier once again received star billing in a movie. Through the use of computer graphics, footage of him as a young man was integrated into the 2004 film Sky Captain and the World of Tomorrow in which Olivier "played" the villain. Olivier was the founding director of the Chichester Festival Theatre (1962–1966) and of the Royal National Theatre of Great Britain (1962–1973) for which he received his life peerage. He was created a Knight Bachelor on June 12, 1947, and created a life peer on 13 June 1970 as Baron Olivier, of Brighton in the County of Sussex, the first actor to be accorded this distinction. Olivier played more than 120 stage roles, including: Richard III, Macbeth, Romeo, Hamlet, Othello, Uncle Vanya, and Archie Rice in The Entertainer. He appeared in nearly 60 films, including William Wyler's Wuthering Heights, Alfred Hitchcock's Rebecca, Stanley Kubrick's Spartacus, Otto Preminger's Bunny Lake is Missing, Richard Attenborough's Oh! What a Lovely War, Joseph L. Mankiewicz's Sleuth, John Schlesinger's Marathon Man, Daniel Petrie's The Betsy, Desmond Davis' Clash of the Titans, and his own Henry V, Hamlet, and Richard III. He also preserved his Othello on film, with its stage cast virtually intact. For television, he starred in The Moon and Sixpence, John Gabriel Borkman, Long Day's Journey into Night, The Merchant of Venice, Cat on a Hot Tin Roof, and King Lear, among others. He was admitted to the Order of Merit in 1981. The Laurence Olivier Awards, organized by The Society of London Theatre, were renamed in his honor in 1984. Though he was a Life Peer and one of the most respected personalities in the industry, Olivier insisted that one should address him as "Larry," and he simply would not listen to anyone addressing him with honorifics such as "Lord," and "Sir". In 1999, the American Film Institute named Olivier among the Greatest Male Stars of All Time, at fourteen on the list. The South Bank Show: Laurence Olivier, A Life (1982) This featured interviews with Olivier, John Gielgud and Douglas Fairbanks Jr. among others. Both DVD sets include a Michael Parkinson interview with Olivier from the 1970s. In September 2007 the National Theatre marked the centenary of his birth with a Centenary Celebration. This told the story of Olivier’s working life through film and stage extracts, letters, reminiscence and readings, the participants included Eileen Atkins, Claire Bloom, Anna Carteret, Derek Jacobi, Charles Kay, Clive Merrison, Edward Petherbridge, Joan Plowright, Ronald Pickup and Billie Whitelaw. Prior to the evening celebration, a new statue of Olivier as Hamlet, created by the sculptor Angela Conner and funded by private subscription, was unveiled on the South Bank, next to the National's Theatre Square. ↑ 6.0 6.1 Coleman, 21. ↑ 7.0 7.1 7.2 Agee, James, "Masterpiece"; James Agee. Film Writing and Selected Journalism. (New York: Library of America, 2005), 412–420. A review of Henry V, first published in Time (8 April 1946) and from there reprinted within Agee on Film, which is reprinted in toto within the newer book. The second part of this article is reproduced as Laurence Olivier Biography. murphsplace.com. Retrieved November 7, 2008. ↑ Laurence Olivier. Confessions Of an Actor. (New York: Simon and Schuster, 1982), 174. ↑ 26.0 26.1 Laurence Olivier @ Classic Movie Favorites Retrieved December 16, 2007. Agee, James, "Masterpiece." Film Writing and Selected Journalism. New York: Library of America, 2005. ISBN 1931082820. Croall, Jonathan. Gielgud: A Theatrical Life 1904-2000. Continuum International Publishing Group, 2001. ISBN 0826413331. Hodgdon, Barbara. Shakespeare Quarterly, "From the Editor," Fall, 2002. Saint-Denis, Michel, and Laurence Olivier. Five seasons of the Old Vic theatre company. London: Saturn Press, 1949. This page was last modified on 21 June 2018, at 21:13.